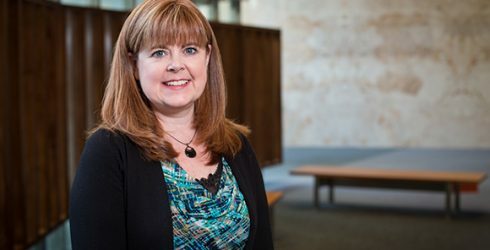 Ranked number 1 by the Canadian Institutes of Health Research (CIHR) Human Development, Social & Developmental Aspects of Children’s & Youth’s Health review committee, Bloomberg Nursing’s Assistant Professor Dr. Kimberley Widger will engage in a 3-year study titled Predictors of Pediatric Palliative Care Involvement and Impact on Healthcare Intensity, Utilization, and Cost. The funding will support the study as it aims to provide important information to health professionals and policymakers about the delivery of palliative care services to children. At present time, little is known about which children access which types of palliative care services or the cost of these services. There is also a knowledge gap around the impact the different services have on outcomes linked to increased suffering and reduced quality of life. Using both clinical and administrative databases in Ontario, Dr. Widger and her research team will examine patterns of referral to palliative care services. They will also explore the impact these different types of palliative care services have on the intensity of end-of-life care, healthcare use, and the cost of care for children who died from life-threatening conditions. After gathering and evaluating the data, researchers expect their findings will lead to improved care for children with life-threatening conditions. Learn more about Dr. Widger’s research on her website.